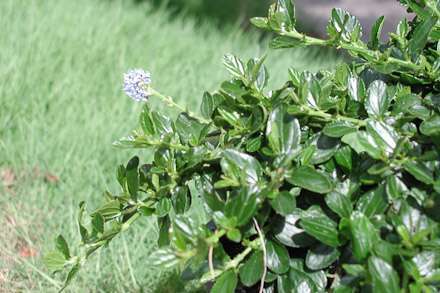 3 to 18 ft. shrub or small tree. 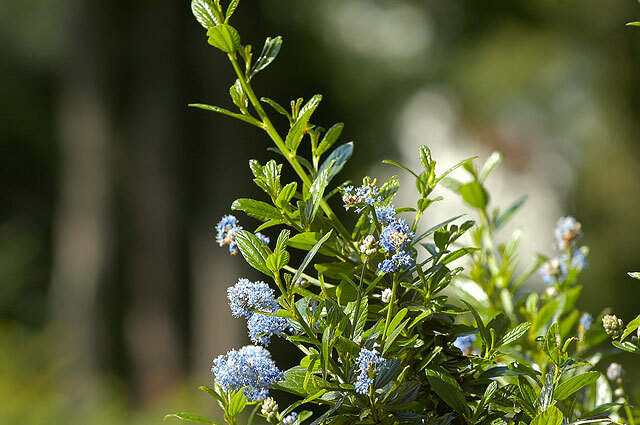 Light to deep blue flowers that have a sweet, honey-like fragrance. 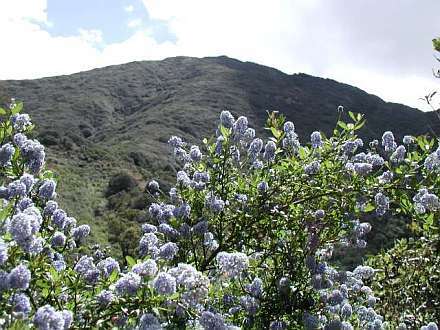 This is the only Ceanothus locally native to the Bay Area; it also grows in chaparral and on wooded slopes and in mixed evergreen forests from Sta. Barbara co. to S. Oregon. 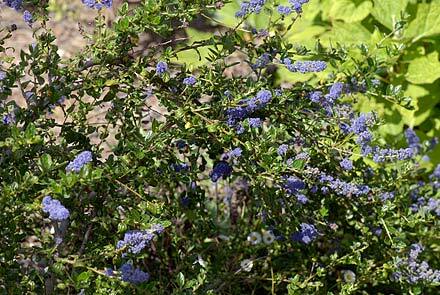 Used on wedding nights by Native Californians, the medicinal part of Ceanothus is the root. This complex herb should be used by �healthy people under stress not sick people under treatment� (Moore).